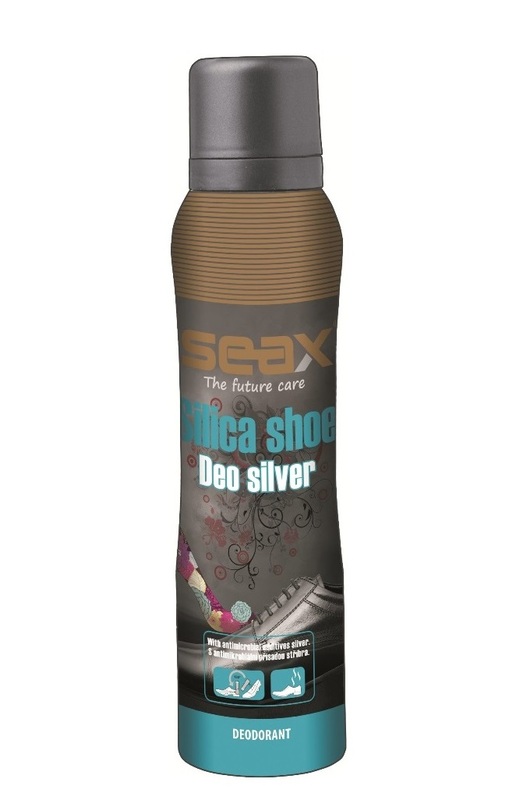 SEAX Silica Shoe Deo silver is an deodorant with antimicrobial ingredient of active silver that quickly and efficiently freshen your shoes. With a silica content protects against unpleasant smell of shoes significantly longer than the conventional deodorants. Contained silver particles prevents the formation of germs. Especially suitable for sports shoes. Of thanks to the unique valve can use the spray even upside down. Just to put the spray into footwear and press. Repeated applications you guarantee long-term efficacy.